The arguments for and against Net Neutrality are many and there are good and bad points on both sides of the house. The problem is that on the anti-Net Neutrality side the arguments are almost all about making money while the pro side tend to center on protecting consumers (sort of makes it a no brainer here). Verizon and other broadband companies want to be able to broker deals to give priority access to sites that request it. They also want the option to give priority access to their own services over other non-network services and sites. The FCC views these as anti-consumer and want to prevent the ability of providers to broker these deals. Their concern is that by allowing these deals it will artificially rise prices of these services to consumers. The concept will also have an impact on start-up companies. They will find themselves unable to meet consumer demands as their services are not as fast as the other guy. It becomes a form of service fixing and is very much anti-consumer as it also extends into another very grey area of censorship. 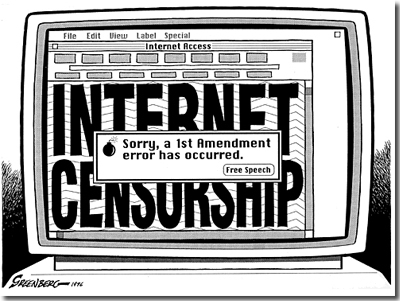 By granting the right to throttle content providers and web sites it would give broadband providers to artificially alter access to content. If a website or company posts something that is not flattering to the provider they (the provider) could simply slow access to the site making it less likely that their customers will visit the site. This is a well-documented tactic and one that is in use in many companies over outright blocks as it is much more effective in changing behavior. If a site is slow you are not likely to return and visit it. Instead you will find another site to visit that provides similar content (although not the same). To make things worse Verizon wants the power to block sites as well. I know that we do not even need to explain why this is a seriously bad idea to give an ISP that power. The issue has made it to a court of appeals where it is being decided on. As it stands right now analysts believe that the court may arrive at a split decision that grants the right to broker fast-lane deals, but prevents outright blocking. The sad part of this decision is that both are a form of censorship that simply should not be allowed and will be abused by these corporate entities in their efforts to increase revenue. They will push companies and services that they have deals with and deny consumers their right to choose the services they want and also to receive all information; not just the information that their service provider wants them to see. After Two Major Bugs and Poodle Security Experts Say it is Time to Upgrade the Internet. How do we save the internet?